How can I edit a Product Sale? Steps to make changes to a Product Sale. 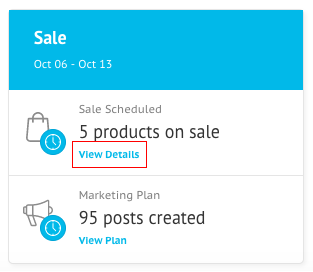 You can edit the duration and discount of a sale till it doesn't start (scheduled state). 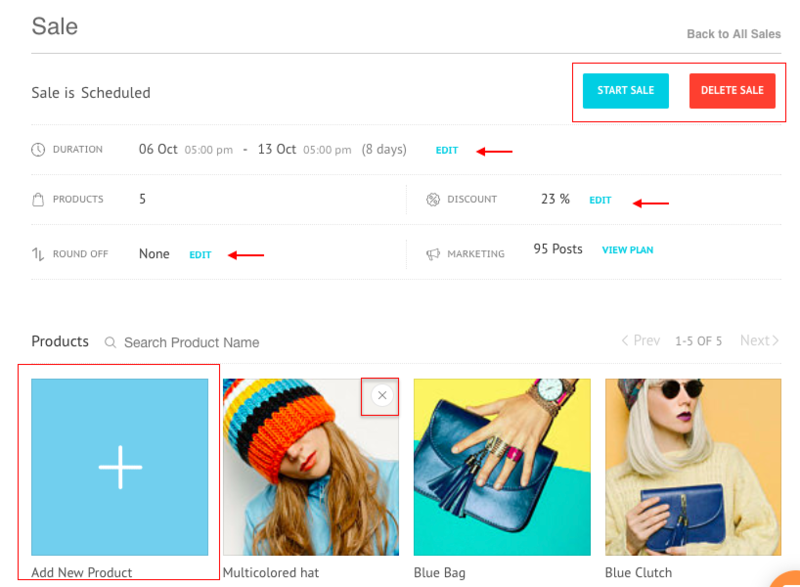 If you want to make these changes in an active sale, you'll need to stop the current sale and start a new one. However, you can change the products on sale by adding or removing them even when the sale is active. 3. Edit the duration / discount or add / delete product. 4. Save your changes and Re-Create your marketing plan. Don't forget to Save your Marketing Plan.